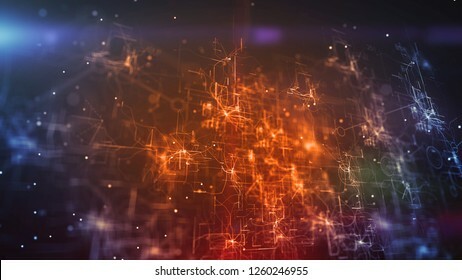 3,706 stock photos, vectors, and illustrations are available royalty-free. 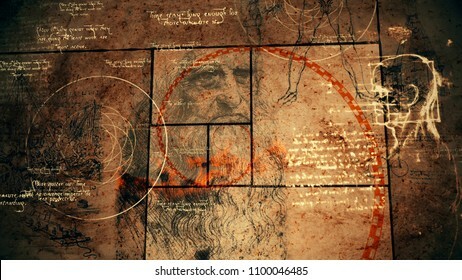 A vintage 3d illustration of code Da Vinci with the sacred texts, the portrait of the bearded genius, a human head, a sphere with circles, and red golden spiral in black squares. 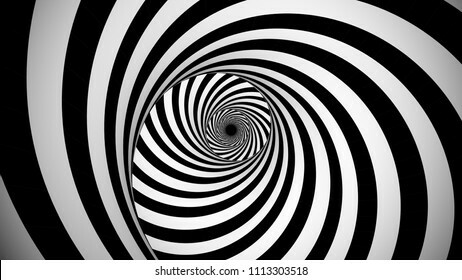 A psychedelic 3d illustration of an optical illusion created by black and white stripes rotating in a tunnel with spiraling effect. They create the mood of enigma and magic. 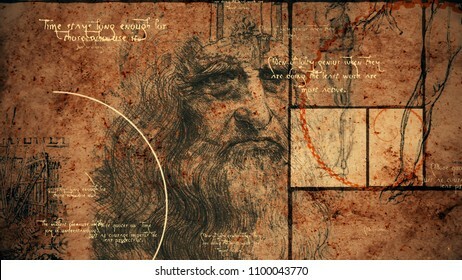 A retro 3d rendering of code Da Vinci with the portrait of the world known master in his old age, a human leg, some construction and short texts written in the englh language. 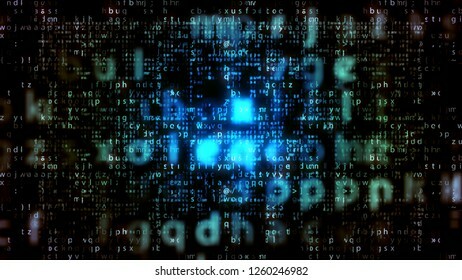 Breathtaking 3d illustration of radiant light blue matrix letters moving down in the black background. 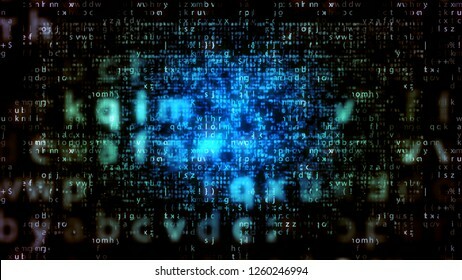 The picture with big and small letters looks hi-tech and jolly. 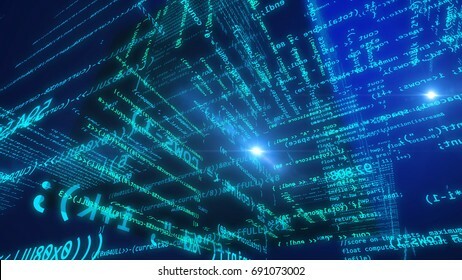 A high-tech 3d illustration of transparent program code tubes flying in holographic cyberspace full of digits, letters, signs, symbols, quotes and information in the blue background. 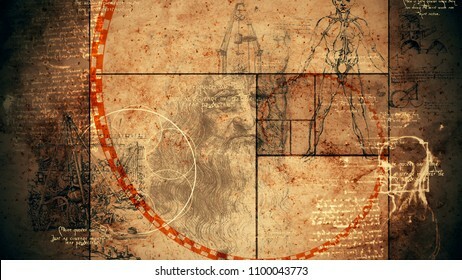 A retro 3d illustration of code Da Vinci with the Vitruvian man, showing anatomy details, portrait of the Italian genius, a human skull, a sphere with circles, and golden spiral. 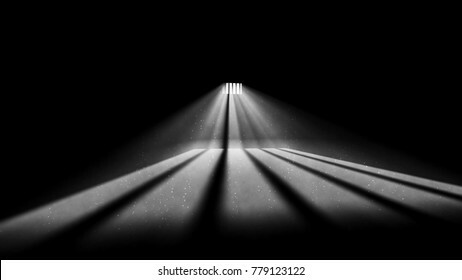 A striking 3d illustration of jail window light in a completely dark prison cell. The rays of sun look like a a beam of hope for freedom. They form wide stripes on jail floor. 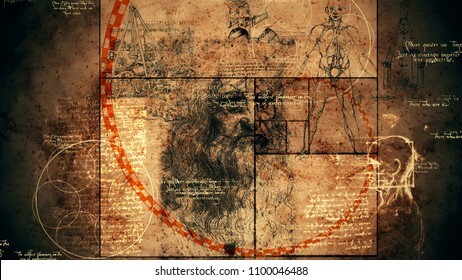 A striking 3d rendering of code Da Vinci with the portrait of the Italian master, a human skull, some crane, inscriptions and the Vitruvian man showing the anatomy of a man. 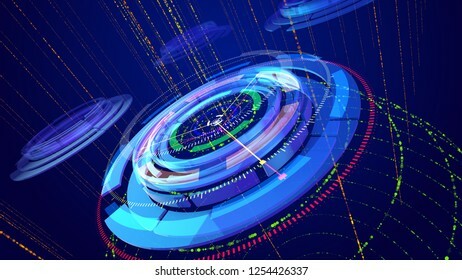 A cutting edge 3d illustration of a shimmering space structure from sparkling multicolored structures and a gap between them resembling a time tunnel with UFOs it in the violet universe. 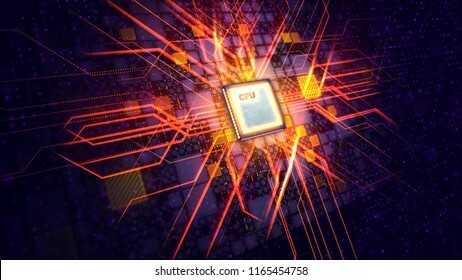 Splendid 3d illustration of a cyberspace cpu shining brightly in the golden and blue background. 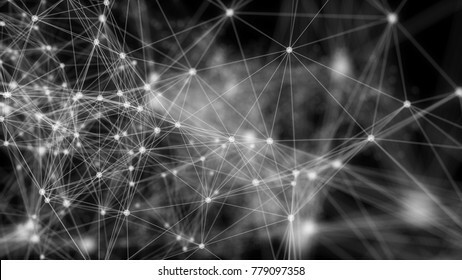 It has a network of interconnected crisscross and straight lines. 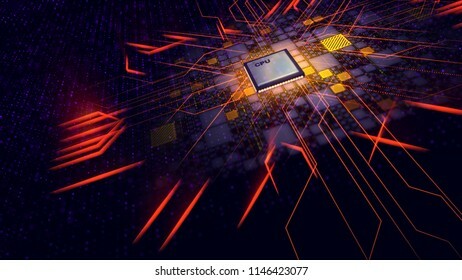 A mysterious 3d illustration of a square CPU processor shining like an ancient sacred secret sign covered with plasma crisscross stripes and spots in the black background with yellow plates. 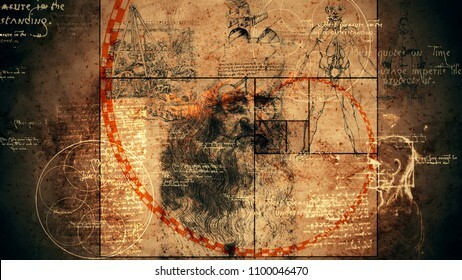 An impressive 3d rendering of code Da Vinci with the portrait of the Italian master, a human skull, some construction and the Vitruvian man showing the anatomy of a person. 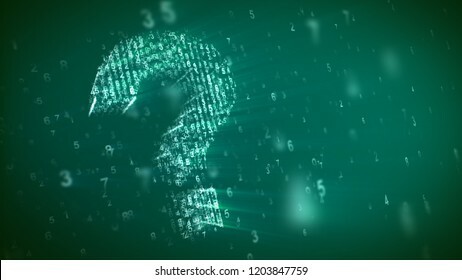 An abstract 3d illustration of the dazzling question mark from small digits whrling with a matrix effect in the khaki backdrop. Shining small spots are spinning around in a jolly way. 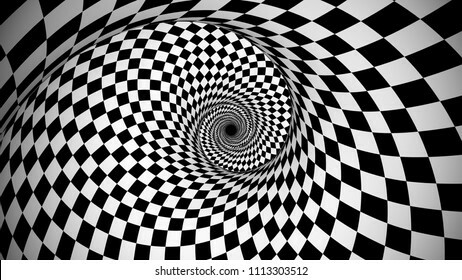 An opt art 3d illustration of an optical illusion created by black and white squares forming a huge spiral from chessboards generating the spirit of enchantment and supernatural. 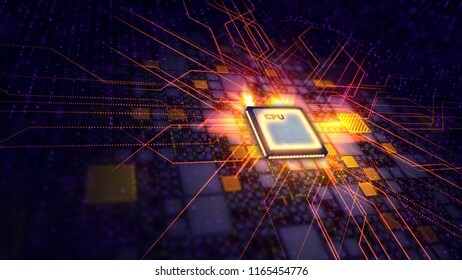 Holographic 3d illustration of a holographic cpu glowing in the dark blue background. It consists of a grid of twisting, zigzag and straight stripes placed in a volumetric way. 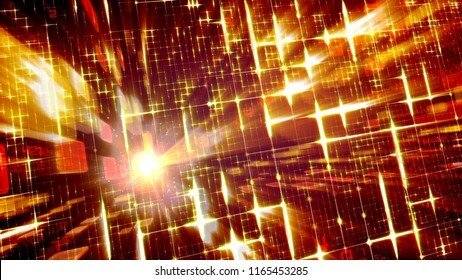 An artistic 3d illustration of a square CPU tablet making a diagonal and straight cross form sparkling energy rays beaming in eight directions in the black background with yellow and violet plates. 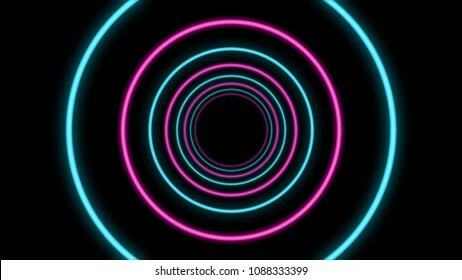 An impressive 3d rendering of an abstract tunnel from light blue and rosy rings in the black background. They look like a futuristic time portal for spaceships. 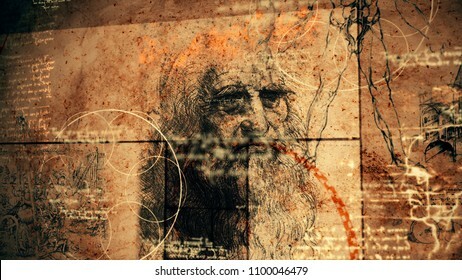 A graphic 3d illustration of code Da Vinci with the portrait of the old Italian genius, a human skull, some sphere with six circles, some texts and a red spiral of golden ratio. 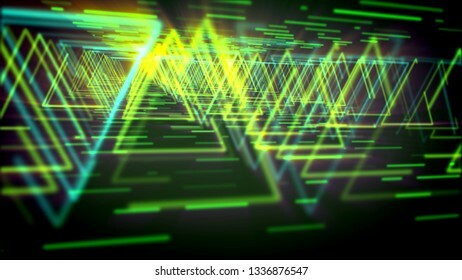 Amazing 3d illustration of glittering yellow triangles making long and straight ways for flying spaceships in the green and black virtual reality. It looks like mysterious time tubes. 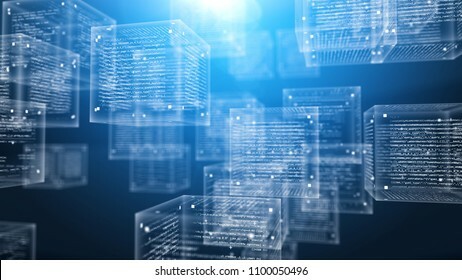 An innovative 3d illustration of transparent program code cubes flying in the purple computer world full of signs, symbols, digits and letters. 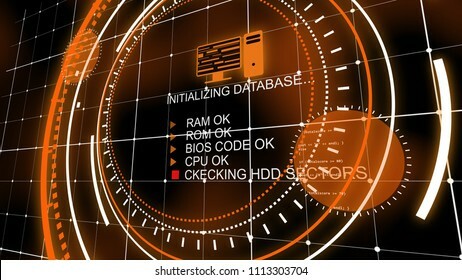 The new software program is ready. 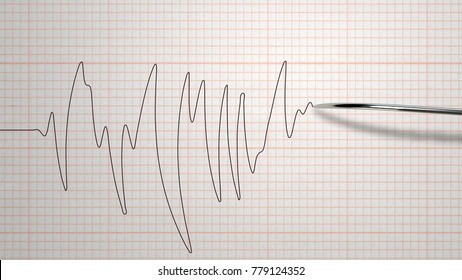 A multilayered 3d rendering of a lie detector with a metallic stylus putting down a red curvy line on a paper with boxes. The lines have different parameters. It means some person is dishonest. 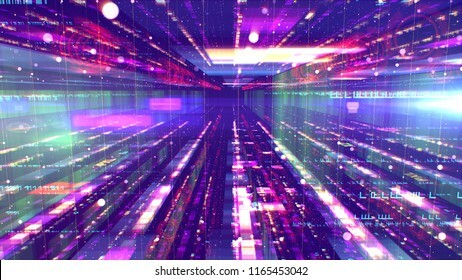 A sci-fi 3d illustration of a moving hexagonal neon tunnel placed in the bright violet background with sparkling spots. It looks like an impressive time portal and has a psychedelic effect. 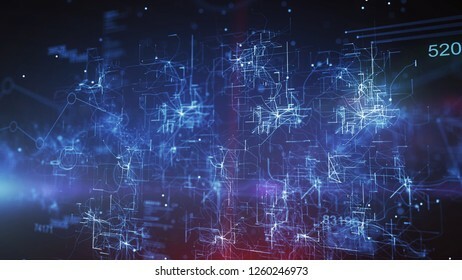 A wonderful 3d illustration of a slanting space design structure with sparkling flat surfaces and antennae fixed to them. Some bright flying saucer is soaring nearby in the blue background. 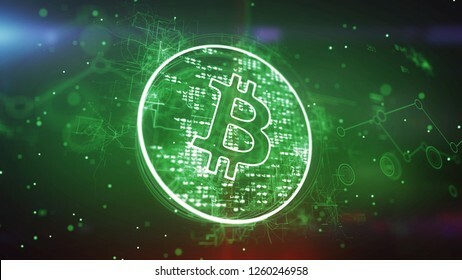 Artistic 3d illustration of a bitcoin symbol put in a shining circle and spinning slowly in the green background. 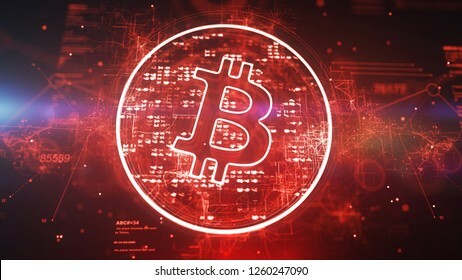 It looks advanced and cheerful inspiring for new deals. 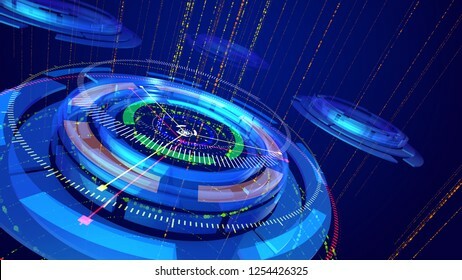 Cyber cosmos 3d illustration of dazzling blue and celeste circles rotating oppositely and having a compass dial face put aslant and thin arrows whirling too in the blue background. 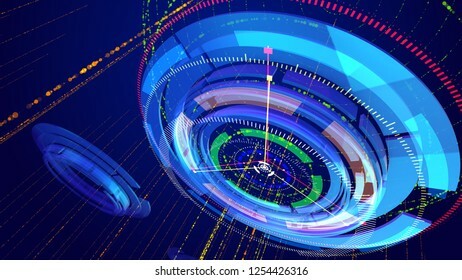 Innovative 3d illustration of sparkling multishaped blue and celeste rings resembling a modern compass placed askew with several narrow arrows spinning around in the dark blue backdrop. 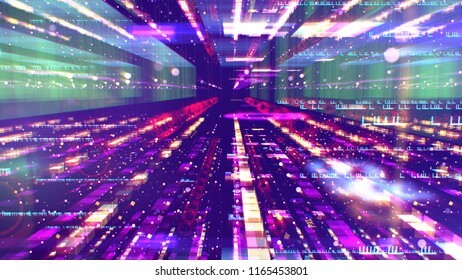 A futuristic 3d illustration of a shining colorful space configuration looking like a streamlines time tunnel for supersonic spaceships depicted in a volumetric way in the violet background. 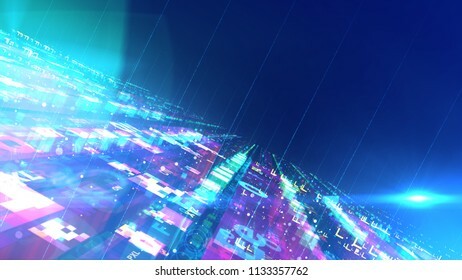 An innovative 3d illustration of a futuristic virtual city with many see-through buildings placed on a network in the blue background. They have the same configuration and look pragmatic. 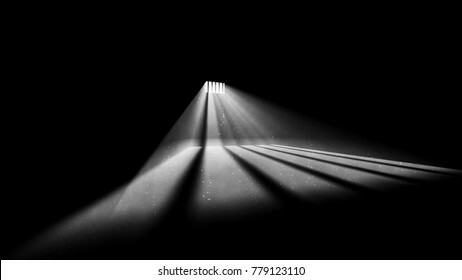 A stunning 3d rendering of symmetric jail window light in a completely dark prison cell. The beams of sun look like a ray of hope for freedom. They form huge stripes on jail floor. 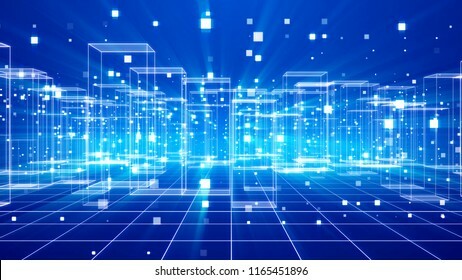 Optical illusion 3d illustration of an innovative technology cyberspace channel through a portal with diminishing squares. 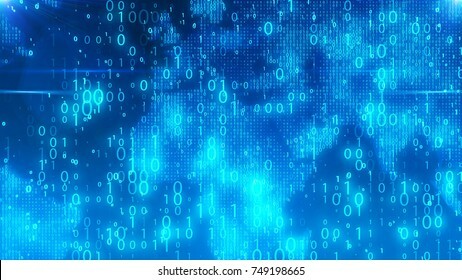 The background is blue. It has a plenty of shimmering dots and lines. 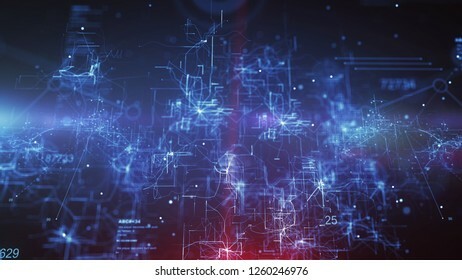 A wonderful 3d illustration of a universe with a turbulence of geometric figures composing a liasion system from white routes. 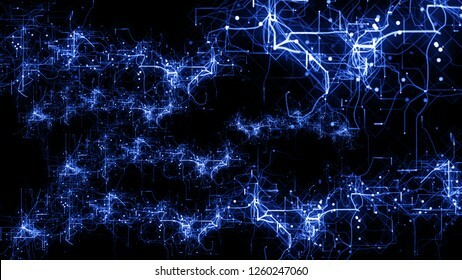 They are interconnected in the black background. 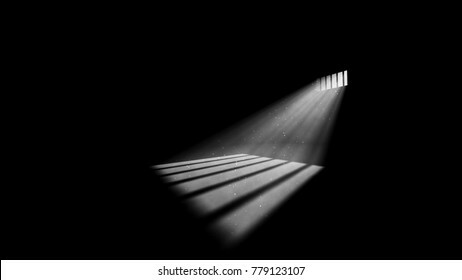 A breathtaking 3d illustration of diagonal jail window light in a completely dark prison cell. The beams of sun look like a light of hope for freedom. They form broken white stripes on jail floor. 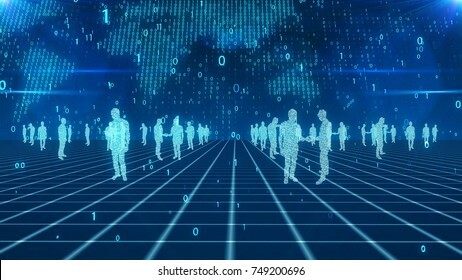 A hi-tech 3d illustration of numeric business people discussing deals on a light blue network from crossed lines. The digital light blue world map with whirling bits is in the background. 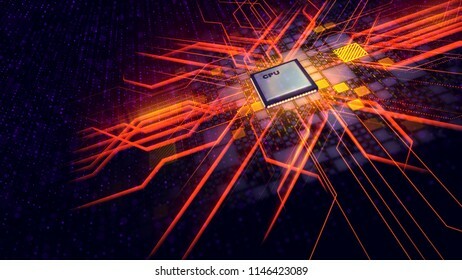 A techno 3d rendering of a CPU microprocessor put diagonally in the dark violet backdrop. 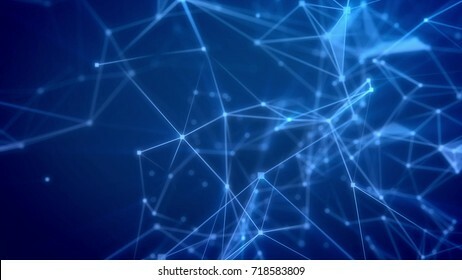 It is connected with shining squares and a grid of lines. The golden beams are sent in all directions. 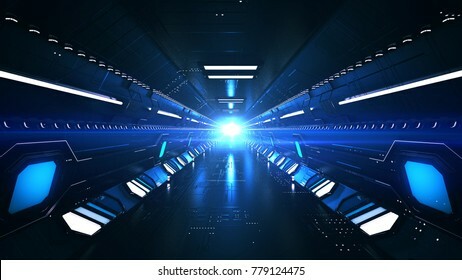 A sci-fi 3d illustration of a dazzling colorful space configuration resembling a set of lengthy columns forming a holographic time tunnel for hi-tech spaceships in the violet background. 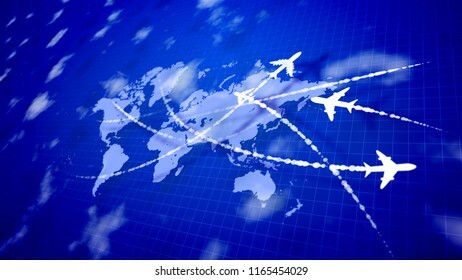 A striking 3d illustration of five white airplanes cruising over the smoky white routes on the violet world map with a grid of squares placed aslant. They look optimistic and trailblazing. 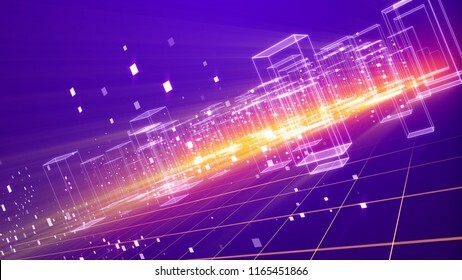 A flashy 3d illustration of a construction configuration from yellow bricks and shining square grates in the purple background. It has a plazma spot with pink beams and looks ritzy and cheerfully. 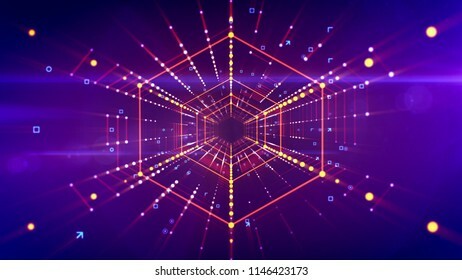 3d illustration of a straight hexagonal neon tunnel stretched in the bright violet background with golden lines of shining dots. 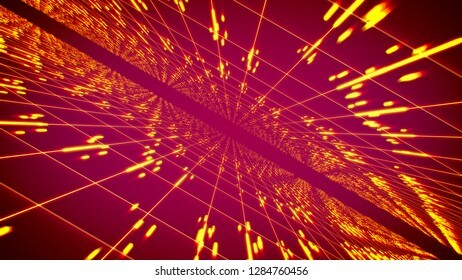 It has linked red grid and looks like a futuristic time tunnel. 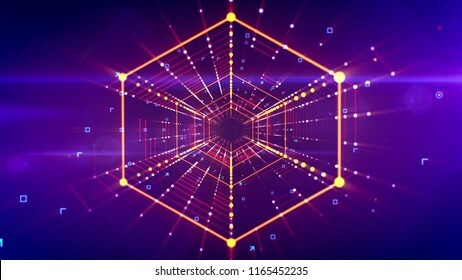 A cutting edge 3d illustration of a hexagonal neon portal located askew and moving in the bright purple background with lines of united and shining yellow spots and looking like a spider web. 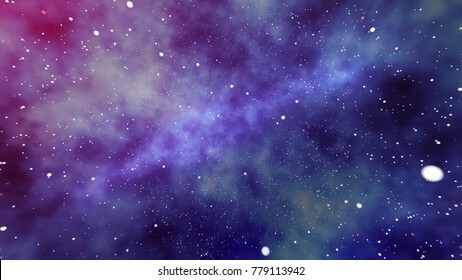 A futuristic 3d rendering of a huge nebula of stars and planets in the universe whirling in the purple, blue and black background. Several megastars single out and sparkle like big spots. 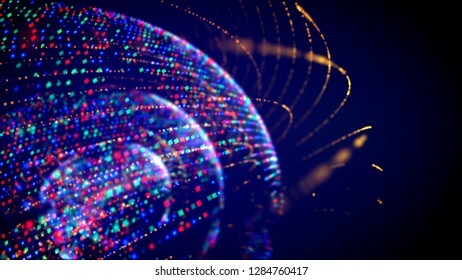 Cheerful 3d illustration of three dotty and shimmering spheres rotating inside of each other in the black background. It looks funny and festive like an innovative disco club light. 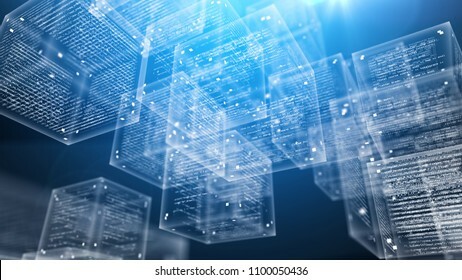 Arty 3d illustration of bar charts, piles of squares, big keys, large pluses and other technology symbols in the dark blue background. They look optimistic and advanced. 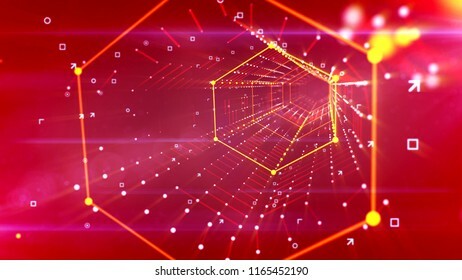 Cheerful 3d illustration of time portal from two inclined surfaces covered with golden square nets and streaming lines in the pink background. It creates the mood of luxury and fest. 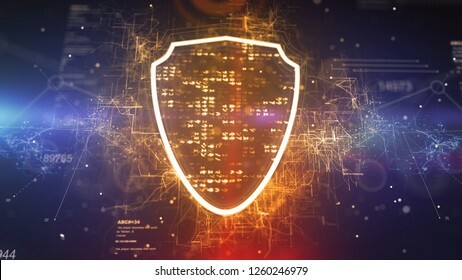 Jolly 3d illustration of cyber security cogwheels of light brown, blue and rosy colors in the light pink background. They move diagonally and create the mood of dynamism. 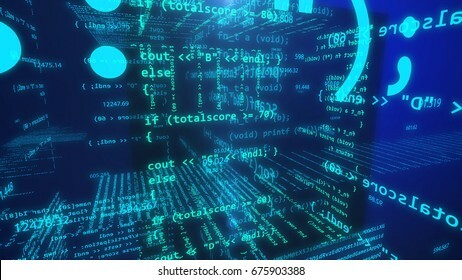 3d illustration of Application software programming source code. Open source concept. 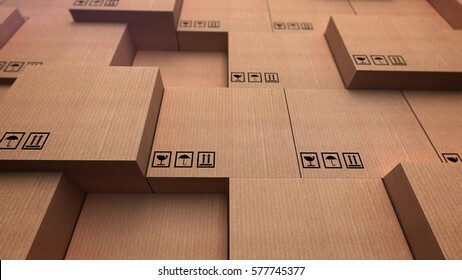 3d stack of cardboard boxes. 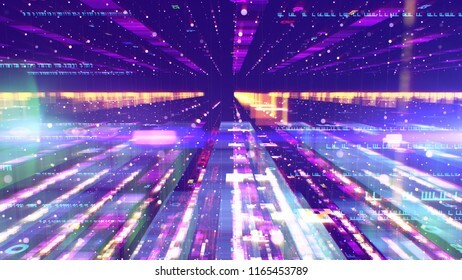 Puzzling 3d illustration of a pioneering technology cyberspace passage through a time portal with diminishing squares. 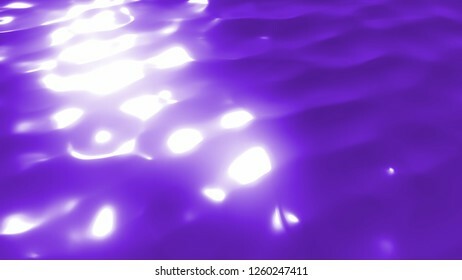 The background is blue. 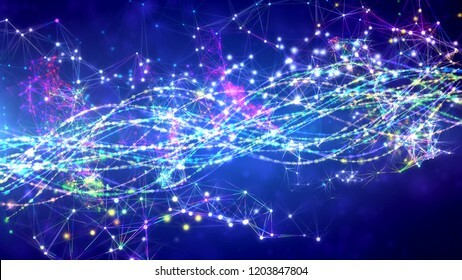 It has a lot of dazzling dots, rays, and lines. 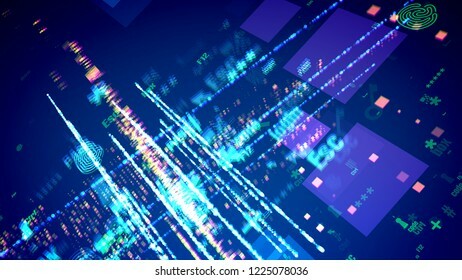 An impressive 3d illustration of blurred cyber symbols such as fingerprints, arrow, escape, plus, shimmering among stripes of shining spots in the dark blue background. A futuristic 3d rendering of a hypersonic subway placed underground for long trips. The subway goes under the bottoms of world seas and oceans. That is the future of mankind. 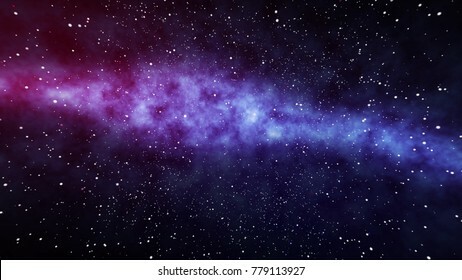 An impressive 3d illustration of a star field of the cosmos with a nebula full of stars and planets placed in the purple, blue and black background. Some megastars shine brightly like big spots. 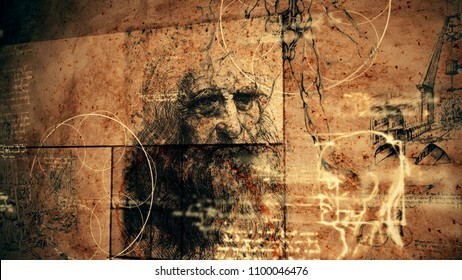 A traditional 3d rendering of code Da Vinci with the portrait of the famous master in his old age, human legs, some appliances and bright short quotes written in the Italian language. 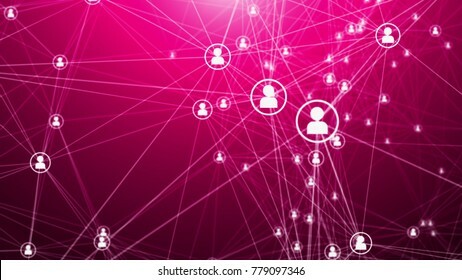 A broadcasting 3d rendering of a global communication system with white beams, making triangles, and images of TV hosts covering the news for the whole world in the purple background. 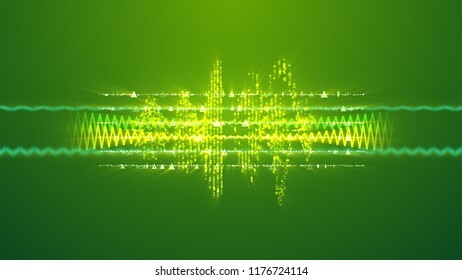 A cheerful 3d illustration of wide and narrow musical zigzag spirals made of golden spots. They are put on the khaki background and form the spirit of fun, fest and celebration. 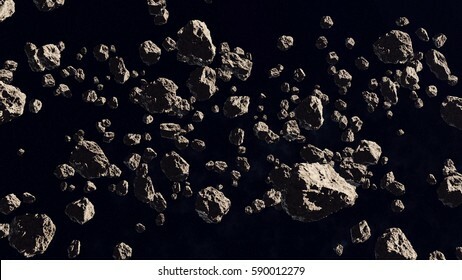 3d rendering of Asteroid field on a black backdrop. 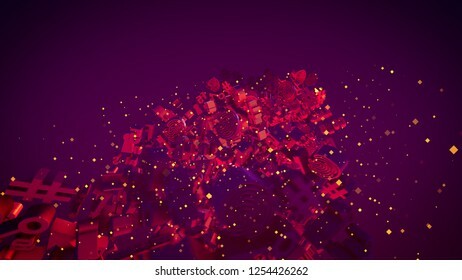 A futuristic 3d illustration of shining spirals and glittering constellations spinning around in a dark violet cosmos. Thousands of blurred and bright stars rotate around them in a mystic way. 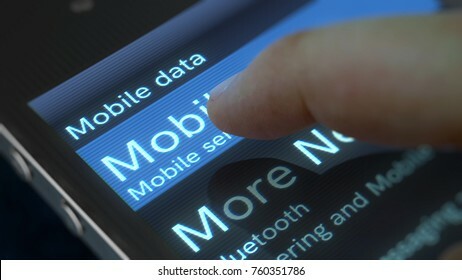 An exciting 3d rendering of a mobile phone with shimmering inscription Mobile data and Mobile Networks icon. 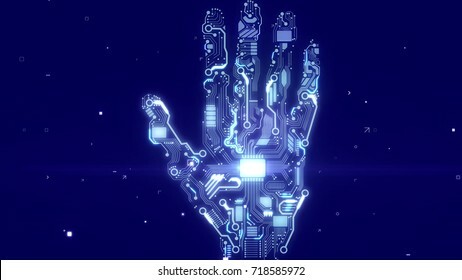 The finger is going to press the button. The phone is placed aslant. 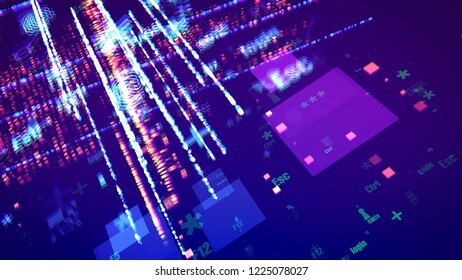 An enigmatic 3d illustration of a square CPU tablet making a figure resembling a plasma cross being put askew in the black background with yellow plates, violet spots and purple power lines. 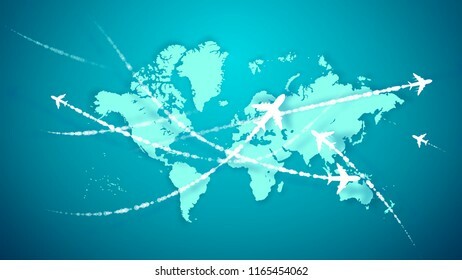 An amazing 3d illustration of white toy airplanes flying along the routes marked with smoky lines on the violet world atlas with a grate placed askew. They look innovative and optimistic. 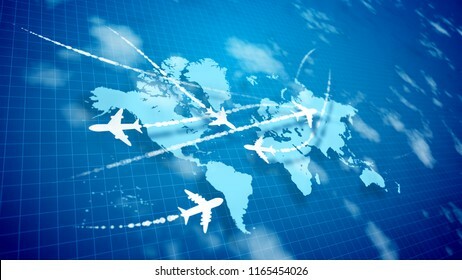 A wonderful 3d rendering of white airplanes flying along the routes marked with smoky trails over the light blue world map. They connect continents and inspire the mood of optimism and luck. 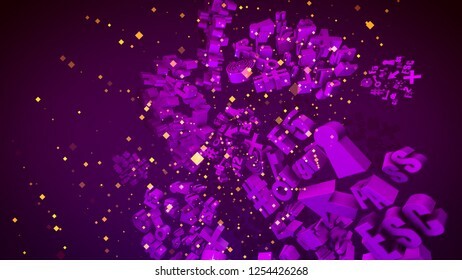 An amazing 3d illustration of a cyberspace urban territory with many dazzling crystalline houses with plazma looking bottom on a grid from squares in the violet background put aslant. 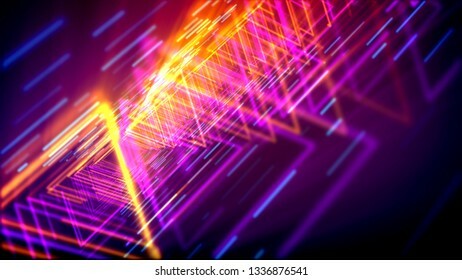 An optical art 3d illustration of a slanting rhombus form neon tube with sharp ends placed aslant in the purple background with stripes of linked and shimmering golden dots and lines. 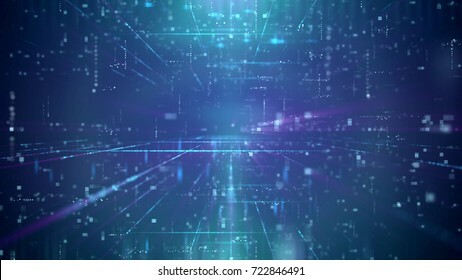 Wonderful 3d illustration of a cyberspace cpu placed in a shining dark blue background. It has a network of crisscross, curvy and straight lines imposed on each other. Holographic 3d illustration of a plazma cyberspace shield cpu with bright pixels around in the dark blue background. It represents a grid of crisscross, curvy and and straight lines. 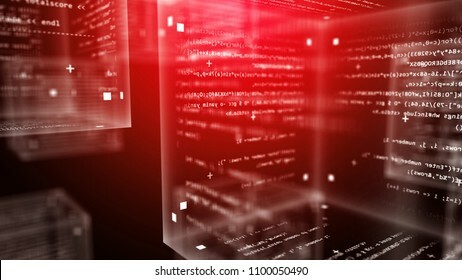 Gorgeous 3d illustration of shining celeste matrix letters falling down fast in the black background. 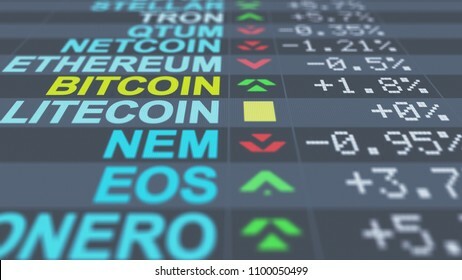 The picture looks incredible, optimistic and advanced. 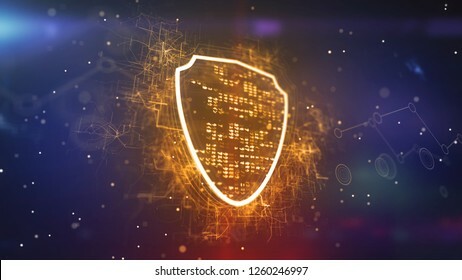 Volumetric 3d illustration of a golden cyberspace shield cpu spinning slowly around in the dark blue background. It represents a meshwork of zigzag, curvy and and straight stripes. 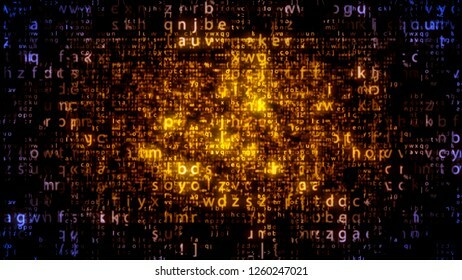 Amazing 3d illustration of shining golden matrix letters moving down in the dark blue and black background. 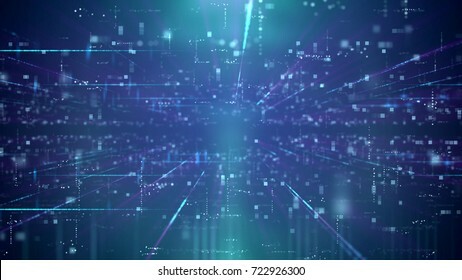 The picture looks advanced, cheerful and hi-tech. 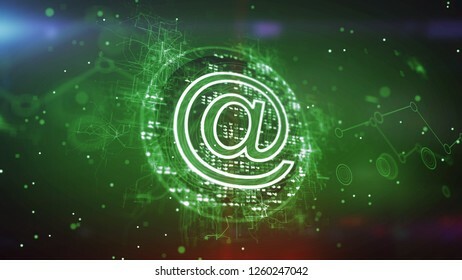 Stunning 3d illustration of a green at symbol cpu with sparkling pixels put aslant in the dark green background. It has a cheerful meshwork of zigzag stripes and blurs. 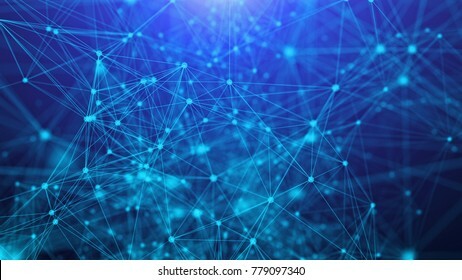 Arty 3d illustration of sparkling plazma cluster in the dark blue and black background with numerous spots and twisting lines. 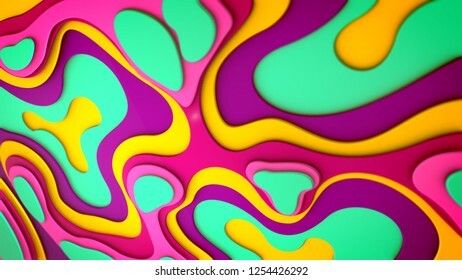 It looks futuristic and psychedelic. 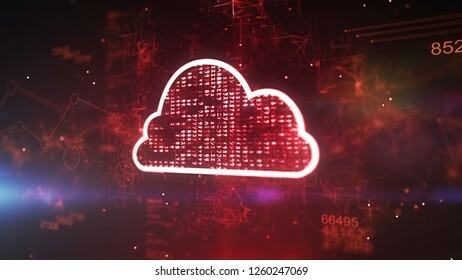 Astonishing 3d illustration of a red cyberspace cloud cpu with gleaming pixels in the dark purple background. It has 852 and a dazzling network of zigzag and twisting stripes. 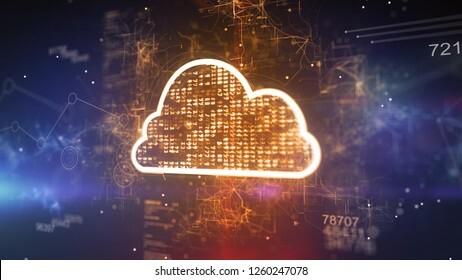 Stunning 3d illustration of a plazma cyberspace cloud cpu with golden pixels in the dark violet background. It consists of a shining meshwork of zigzag and twisting lines. 3d illustration. 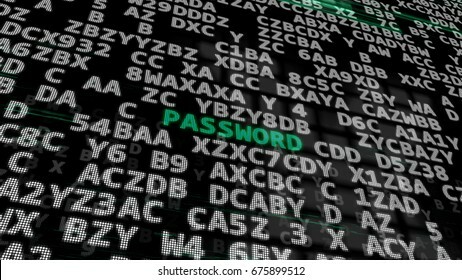 Green Word -Password- between searching of abstract passwords or combinations codes or confidential keys. 3D rendering of a distribution warehouse. 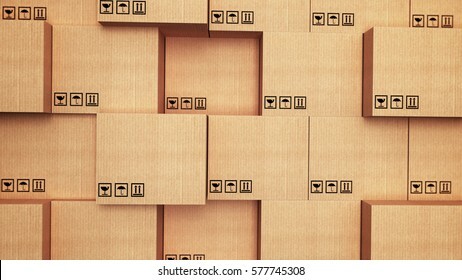 Stacks of cardboard boxes. 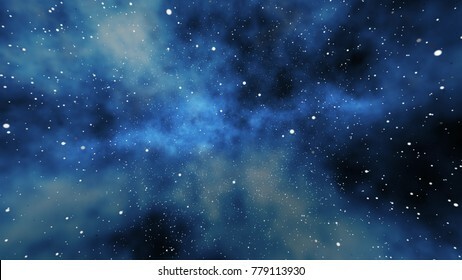 A gigantic 3d illustration of a milky-way gelaxy full of stars, comets,planets, meteors, in the huge universe expanding as a result of the big bang in the black and blue background. 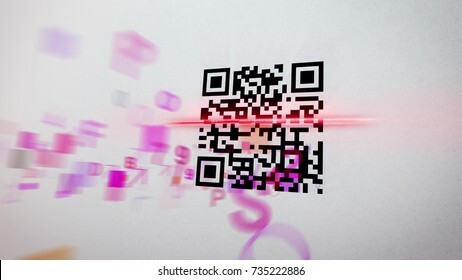 Stunning 3d illustration of glowing purple computer signs such as arrow, key, numbers, letters, grates, spirals, brackets and others with rushing yellow spots in the violet background. 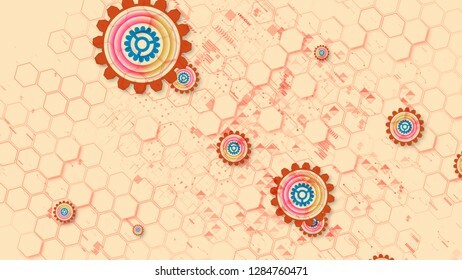 Childlike 3d illustration of multilevel and colorful plastic blobs and spots placed vertically in a happy and artistic way. They generate the mood of holiday, innovation and cheerfulness. 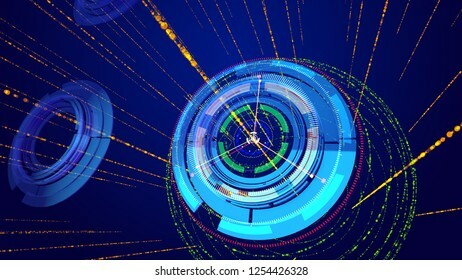 Artistic 3d illustration of shining blue and celeste circles spinning oppositely and having a compass dial face placed vertically and six thin arrows revolting too in the blue background. 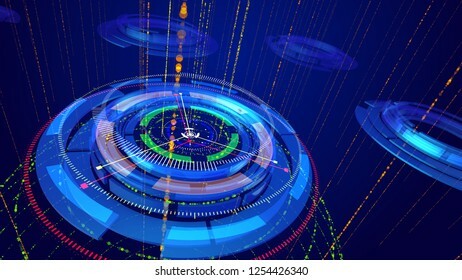 Amazing 3d illustrationof sparkling blue and celeste circles imposed on each other and having a compass dial face and six thin arrows in the dark blue background. It looks futuristic. 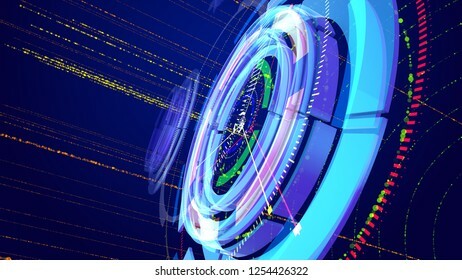 Optical art 3d illustration of several sparkling and multicolored rings imposed on each other and having several thin and lengthy arrows and serving as indicators of some device. 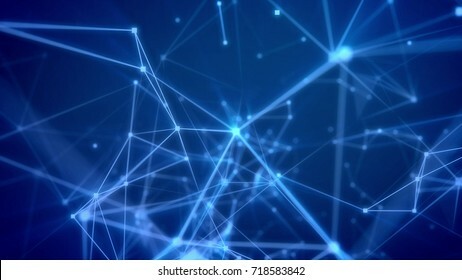 Wonderful 3d illustration of shining multishaped rings imposed on each other and having several thin arrows spinning around in the dark blue backdrop. 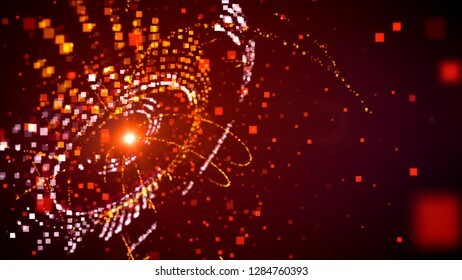 It looks like a cyberspace compass. 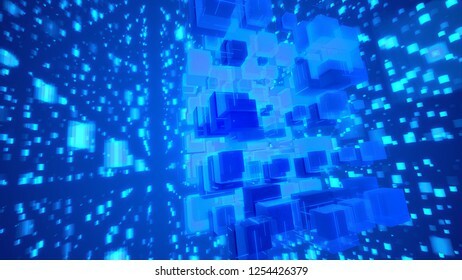 Hi-tech 3d illustration of glittering light blue cubes fixed together as a macrostructure in the blue background. The shining squares fly hign and create the mood of fest and celebration. 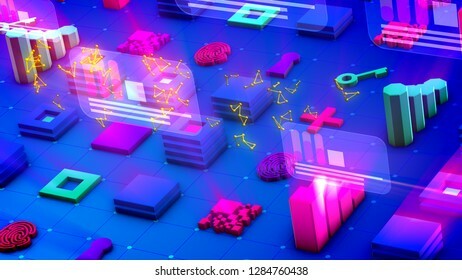 Breathtaking 3d illustration of revolting light violet computer signs such as arrow, key, stars, numbers, letters, grates, spirals, clouds, pluses, with dashing yellow squares in the violet backdrop. 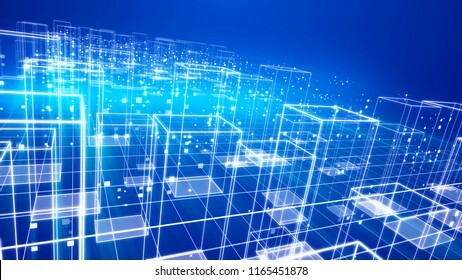 A holographic 3d illustration of a numerical world map from tiny zeroes and ones shining as a cloudware in the blue background. The effect of global identity makes us sink in reflection. 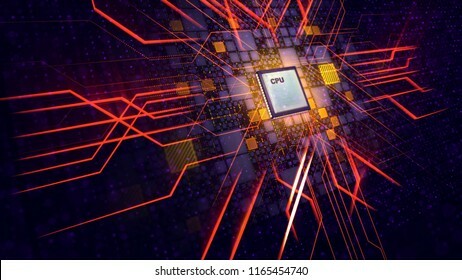 A hi-tech 3d illustration of a cubic CPU screen with diagonal and straight power rays resembling some futuristic transformer face in the black cyberspace with yellow and violet plates and spots. 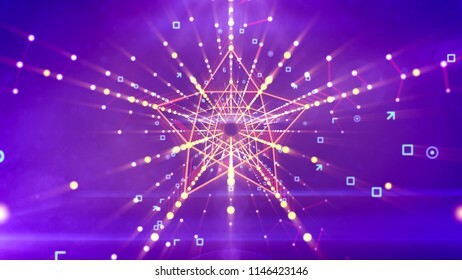 A showy 3d illustration of a symmetric five pointed star neon channel with pentagon structures inside in the violet background with soaring angles, arrows, circles, and golden rays beaming around. 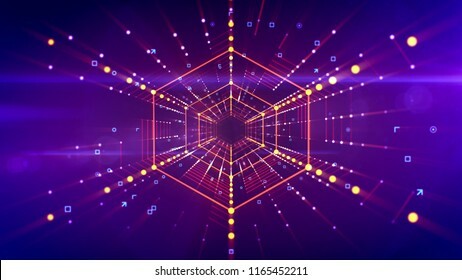 A fantastic 3d illustration of a straight hexagonal neon tunnel placed in the bright violet background with lines of sparkling spots. 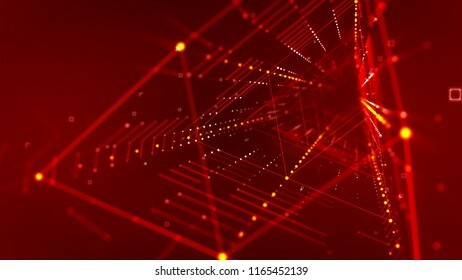 It has connected red structures and looks like a future time pipe.